History: The first bank to be established in Australia was the Bank of New South Wales, which was established in Sydney in 1817, with Edward Smith Hall as its cashier and secretary. During the 19th and early 20th century, the Bank opened branches throughout Australia and Oceania: at Moreton Bay (Brisbane) in 1850, then in Victoria (1851), New Zealand (1861), South Australia (1877), Western Australia (1883), Fiji (1901), Papua New Guinea (1910) and Tasmania (1910). In 1835 a London-based bank called The Bank of Australasia was founded that would eventually become the ANZ Bank. In 1951, it merged with the Union Bank of Australia, another London-based bank, which had been formed in 1837. In 1970, it merged with the English, Scottish and Australian Bank Limited, another London-based bank, formed in 1852, in what was then the largest merger in Australian banking history, to form the Australia and New Zealand Banking Group Limited. A speculative boom in the Australian property market in 1880 led to the Australian banking crisis of 1893 in the colony. This was in an environment where little government control or regulation of banks had been established yet and led to 11 commercial banks failures. As with many other countries, the Great Depression brought a string of bank failures. Two of the state-owned savings banks (of NSW and WA) would be bought out by the then federal owned Commonwealth Bank. From the end of the Great Depression banking in Australia was tightly regulated. Until the 1980s, it was virtually impossible for a foreign bank to establish branches in Australia; consequently Australia had very few banks when compared with such places as the United States or Hong Kong. Moreover, banks in Australia were divided into two distinct categories, known as saving banks and trading banks. Saving banks paid virtually no interest to their depositors and their lending activities were restricted to providing mortgages. Many of these savings banks were owned by state governments. Trading banks were essentially merchant banks, which did not provide services to the general public. Because of these and numerous other regulatory restrictions on banks, other forms of non-bank financial institutions flourished in Australia, such as the building society and the credit union. These were subjected to less stringent regulations, could provide and charge higher interest rates, but were restricted in the range of services they could offer. Above all, they were not allowed to call themselves "banks". Originally the role of central bank was performed by the Commonwealth Bank of Australia, then a government-owned but essentially commercially-operated banking organization. This arrangement caused some discomfort for the other banks, and as a result the central bank function was transferred to the newly-created Reserve Bank of Australia on 14 January 1960. The banking industry was slowly deregulated over the next two decades. The distinction between trading and savings banks was removed and banks were allowed to operate in the money market (traditionally the domain of merchant banks). The boom and bust of the 1980s was another turbulent time for banks, with some establishing leading market positions, and others being absorbed by the larger banks. The 1990s saw the privatisation of the Commonwealth Bank, and increased competition from non-bank lenders, such as providers of securitised home loans. At the time, consumer credit in Australia was primarily loaned in the form of installment sales credit. The arrival of hundreds of thousands of readily employable migrant workers under the post-war immigration scheme, coupled with intense competition amongst lenders, discouraged proper investigation into buyers. Concerns about the possibly inflationary impact of lending created the first finance companies in Australia. No changes were made in parliament to address misallocated capital, even as most Australians were seeing their real incomes declining. Currently, the Australian banking sector is dominated by four major banks: Australia and New Zealand Banking Group, Commonwealth Bank of Australia, National Australia Bank and Westpac Banking Corporation. In 1990, the Commonwealth Government of Australia announced that it adopted a "four pillars" policy and would reject any mergers between the four major banks. This is long-standing policy rather than formal regulation, but it reflects the broad political unpopularity of bank mergers. A number of leading commentators have argued that the "four pillars" policy is built upon economic fallacies and works against the nation's better interests. Foreign banks wishing to carry on a banking business in Australia must obtain a banking authority issued by APRA under the Banking Act, either to operate as a wholesale bank through an Australian branch or to conduct business through an Australian-incorporated subsidiary. Foreign banks which do not wish to obtain a banking authority in Australia may operate a representative office in Australia for liaison purposes, but the activities of that office will be restricted. According to the Foreign Investment Review Board, foreign investment in the Australian banking sector needs to be consistent with the Banking Act, the Financial Sector (Shareholdings) Act 1998 and banking policy, including prudential requirements. Any proposed foreign takeover or acquisition of an Australian bank will be considered on a case-by-case basis and judged on its merits. Foreign banks have a more significant presence in the Australian merchant banking sector. Australia's banking regulation is extensive and detailed. It is split mainly between the Australian Prudential Regulation Authority (APRA) and Australian Securities and Investments Commission (ASIC). APRA is responsible for the licensing and prudential supervision of Authorised Deposit-Taking Institution (ADIs) (banks, building societies, credit unions, friendly societies and participants in certain credit card schemes and certain purchaser payment facilities), life and general insurance companies and superannuation funds. APRA has issued capital adequacy guidelines for banks which are consistent with the Basel II guidelines. All financial institutions regulated by APRA are required to report on a periodic basis to APRA. Certain financial intermediaries, such as investment banks (which do not otherwise operate as ADIs) are neither licensed nor regulated under the Banking Act and are not subject to the prudential supervision of APRA. They may be required to obtain licences under the Corporations Act 2001 or other Commonwealth or State legislation, depending on the nature of their business activities in Australia. ASIC has responsibility for market integrity and consumer protection and the regulation of certain financial institutions (including investment banks and finance companies). However, ASIC does not actually investigate any issues or propose any regulations that concern consumer protection. Banks are also subject to obligations under the Anti-Money Laundering and Counter-Terrorism Financing Act 2008 as "reporting entities". They are required to identify and monitor customers using a risk-based approach, develop and maintain a compliance program, report suspicious matters and certain cash transactions and file annual compliance reports. The Australian Transaction Reports and Analysis Centre (AUSTRAC) has primary regulation and oversight responsibility for AML and CTF under the 2008 act. The institutions listed on this page are regulated by APRA in accordance with the Banking Act 1959. •Bank of Communications Co., Ltd.
•Mega International Commercial Bank Co., Ltd.
•The Royal Bank of Scotland N.V. 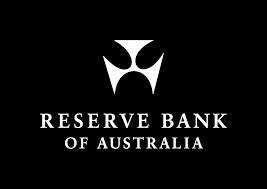 The Reserve Bank of Australia, a state-owned bank, came into being on 14 January 1960 as Australia's central bank and banknote issuing authority, when the Reserve Bank Act 1959 removed the central banking functions from the Commonwealth Bank. During the Great Depression, the Australian pound became devalued, no longer worth the pound sterling, and formally departed from the gold standard with the Commonwealth Bank Act of 1932. Legislation in 1945 led to regulation of private banks which H.C. Coombs was opposed to, and when he became Governor in 1949, he gave them more overall control over their institutions. When the monetary authorities implemented the advice of Coombs to have a flexible interest rate, it allowed the bank to rely more on open market operations. In 1966, when the Australian dollar was introduced, the international currency relationships were maintained under the Bretton Woods system, a fixed exchange rate system using a U.S. dollar standard. The Australian dollar, however, was effectively pegged to the British pound at an equivalent value of approximately 1 gram of gold. The highest valuation of the Australian dollar relative to the U.S. dollar was during the period of the peg to the U.S. dollar. On 9 September 1973, the peg was adjusted to US$1.4875, the fluctuation limits being changed to US$1.485–US$1.490; on both 7 December 1973 and 10 December 1973, the noon buying rate in New York City for cable transfers payable in foreign currencies reached its highest point of 1.4885 U.S. dollars to one Australian dollar. On Monday 12 December 1983, the Australian dollar was floated, allowing its value to fluctuate dependent on supply and demand on international money markets. The decision was made on 8 December 1983 and announced on 9 December 1983. Some commentators speculate that the value of the dollar in 2011 is related to Europe's sovereign debt crisis, and Australia's strong ties with material importers in Asia and in particular China.